I WANT TO GIVE YOU ALL 5 OF MY BOOKS FOR FREE. Yep…..All 5 books for FREE. 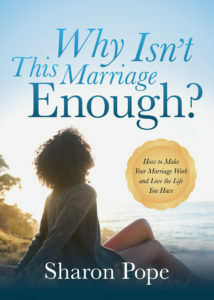 Last year I wrote a book for women struggling in marriages that look picture-perfect from the outside, but feel empty and alone inside that marriage. It’s called, Why Isn’t This Marriage Enough? I’m thrilled to tell you that it was picked-up by a New York publisher and will be in book stores this December.